The second Sunday of every month is Family Free Day at MODA. So join us on Sunday, August 12 and see our current exhibition, Making Change: The Art and Craft of Activism and participate in some DIY Yarn Bombing. Join us at MODA while we investigate the power of design by crafting yarn bombs, a form of street art made of crocheted yarn. Visit MODA, learn to crochet, and design your own small yarn bombs to add color to your neighborhood. 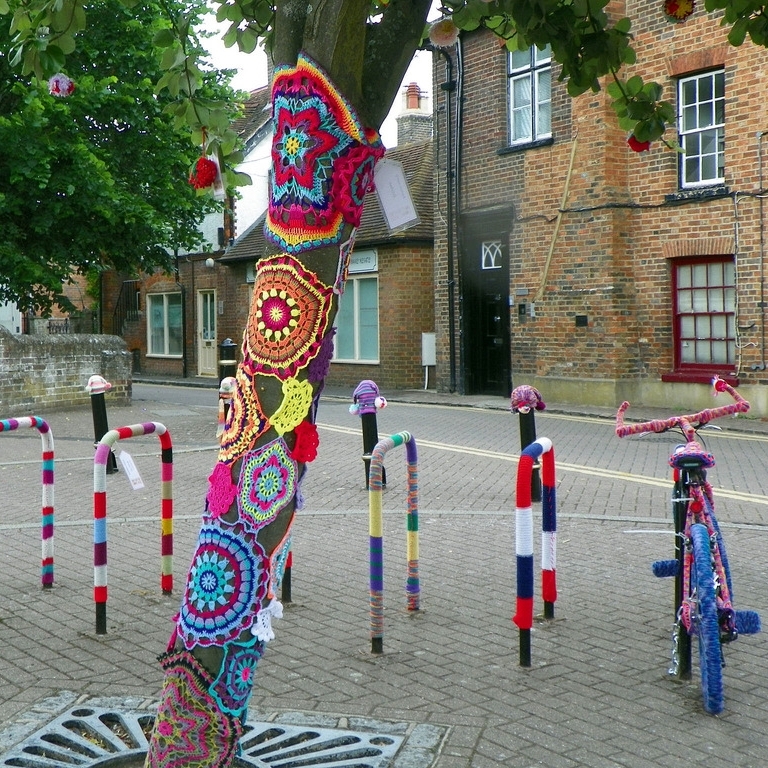 Our yarn bomb activity starts at 1:00 PM and will continue while supplies last. Yarn donations are welcome. In order to help us plan, please register in advance if you plan to attend. MODA’s Making Change: The Art and Craft of Activism exhibition explores this movement. The exhibition also provides opportunities for all visitors to get involved by making something that makes a difference. Afrolicious: Jamaal Barber on Printing Black Life and Black Identity.